This book was a hefty hardback, and not quick at getting to the crux of the story. But what a strange story! A small town seems to be harbouring a big scary secret that nobody dares talk about; there’s a thick fog of fear hovering over everyone in this town, but why? If you’ve read Frank Peretti’s This Present Darkness or Piercing The Darkness you will probably be thrown a little with The Oath. It’s nothing like those two books. There are no angelic conversations and battles with demons going on in the spiritual realm of everyday life in an open and transparent human-like way. In fact there didn’t seem to be anything remotely spiritual going on. Half way into the book, I’m intrigued to uncover exactly what is going on in The Oath, surely I must be getting close to the big reveal….having read this far there was no way I could rest without getting to the bottom of this mysterious storyline. You’ll be racking your brain trying to understand what on earth is going on in those forests and why Mr Hyde is so guarded about the old part of town. At the very end of the book, the theme running through the story becomes clearer and gets you thinking about the concept of ‘sin’ more clearly. I’m not sure I’ll be keeping The Oath on my shelf, it isn’t one I’d want to read again or recommend to anyone else. I just wanted the story to be over, and even the ending was a bit ambiguous – what happened to the town and it’s people after that? (You’ll find out what ‘that’ is when you read the book – I don’t want to spoil it for those of you who are quite curious). I’d be interested to hear what other people thought about the story. 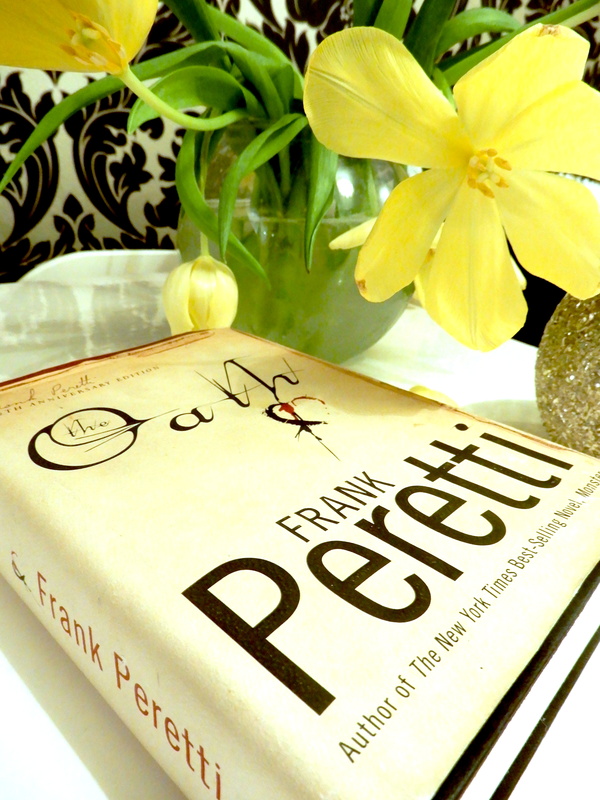 I really enjoyed Frank Peretti’s This Present Darkness and Piercing The Darkness, unfortunately The Oath wasn’t really a winner for me – but definitely different!